Roof mounted array and a Daikin Bluevolution Heat Pump. 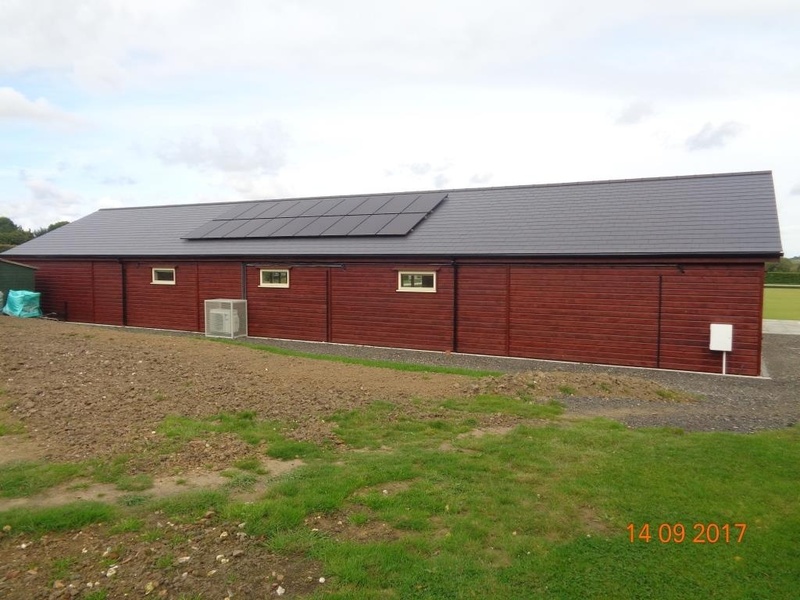 Faversham PV Solar Panel and Bluevolution Heat Pump Installation. A roof mounted 5.4 kWp PV solar array installed in September 2017 using JA all black monocrystalline panels on an aluminium frame. We used a Goodwe inverter with this array. The south facing array will produce over 5,000 kWh's of electricity a year. 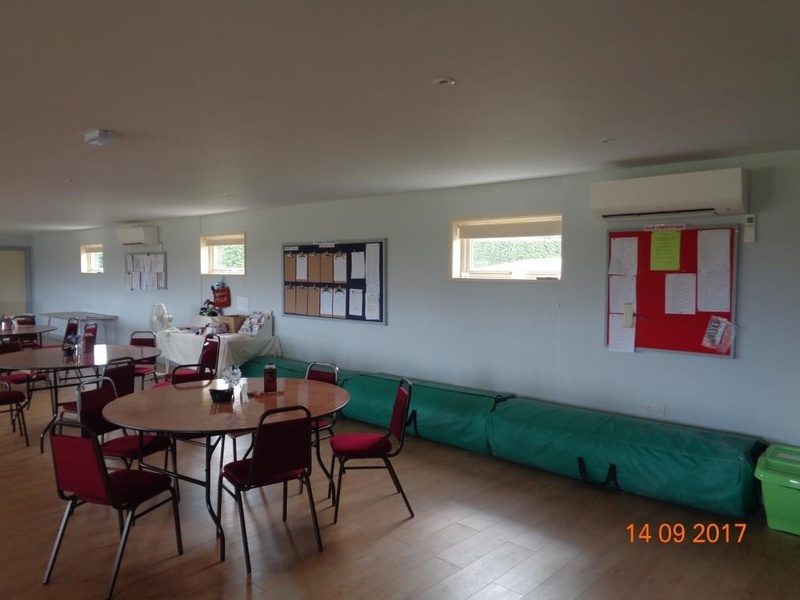 We installed a Daikin Bluevolution heat pump system with 3 indoor units at the same time which will provide the club with their heating and cooling needs. 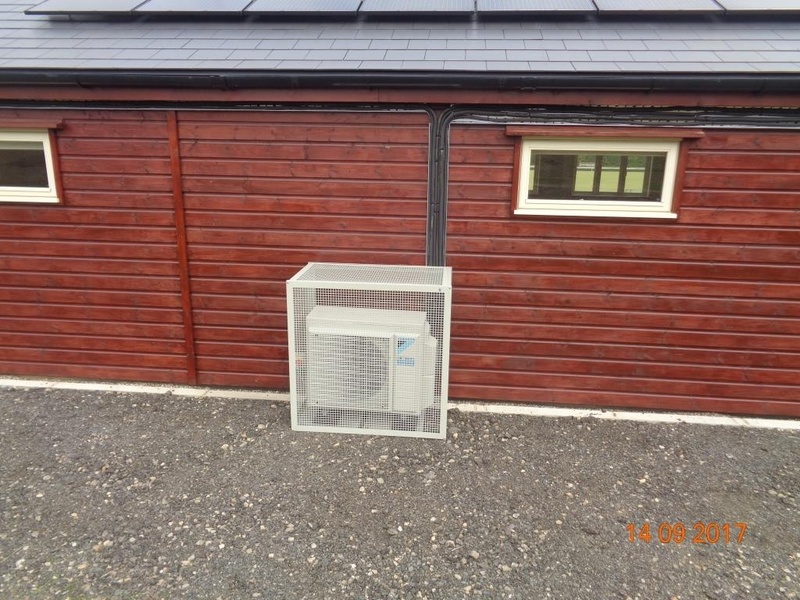 The Daikin Bluevolution outdoor unit. 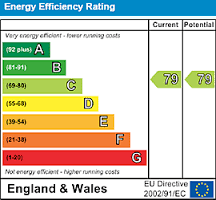 The Daikin Bluevolution indoor unit. 2 of the 3 indoor units.